New 52 November passes the halfway point! Be sure to see The Low Ten and The Bottom 11 before reading on. The Middle Ten bridge the gap between average and good. I enjoyed a great many of these, but they were definitely flawed. 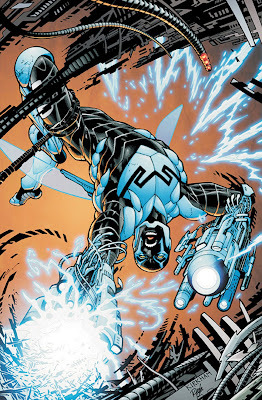 High school student Jaime Reyes gets a scarab attached to his body. 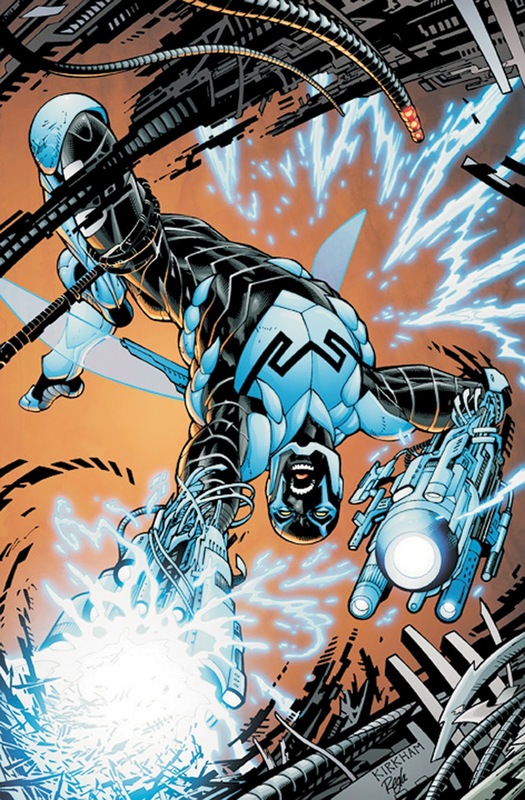 This scarab gives him the ability to transform into the Blue Beetle, an armored warrior. Unfortunately this scarab is meant to be a tool to dominate the Earth. Can Jaime deal with the threats appearing around him while living a normal life? This one could be placed below the Teen Titans, but the flaws in that book force me to place Blue Beetle here. The thing is that I actually enjoyed Teen Titans more. It should be better, but it is just so play by the numbers superhero that it bugs me. Mostly crappy evil villains. Hero fights destiny. Hero has secret identity. Hero fights villain with same powers. Hero has trouble getting with love interest. This is a full reboot of the character so anyone can come to this book and some new readers will likely enjoy it. The art is interesting, but it just didn't work for me. I doubt I'll read volume 2. 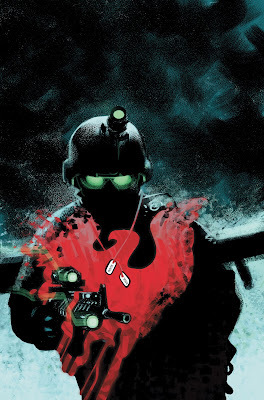 A pair of high school students, Ronnie Raymond and Jason Rusch, are accidentally transformed into Firestorms. Unfortunately, government agencies are after them and even more bad news happens as the mystery of the god particle falls into unsavory hands. This is another full reboot of a character that I knew nothing about. Jason Rusch is a smart kind and Ronnie Raymond is a jock. Naturally they have some stereotypical moments, but I think they managed to move beyond that. I was a bit exasperated by another book with a secret government organization (What is this number 5?) and the bad guys weren't all that impressive. However; this could be interesting for some and it definitely a different concept from other books. Lantern Rings begin flying from their rightful owners and heading to Kyle Rayner. 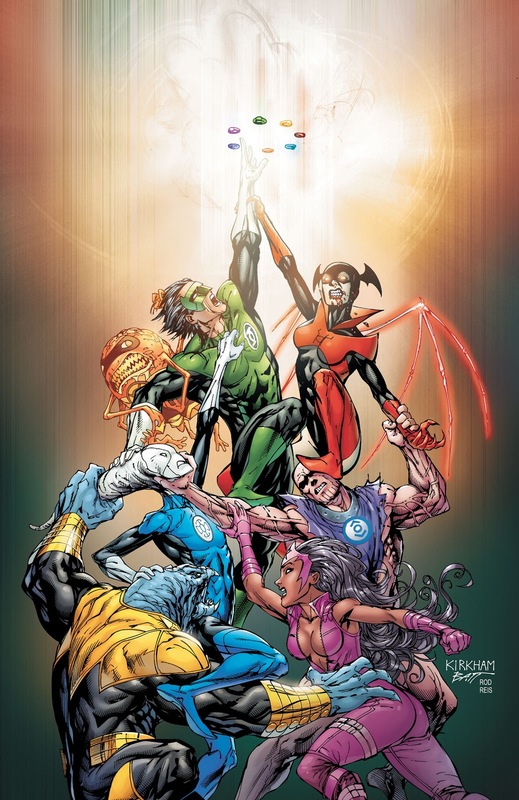 Lanterns from their respective Corps including Saint Walker, Fatality, Arkillo, Bleez, Munk and Glomulous begin appearing to get them back. They must unite to discover who is behind this strange phenomena and why they are doing it. None of the Green Lantern stories have rebooted. This volume makes a very good attempt to be a true Volume one by showing Kyles backstory and tying it in with the main story arc. 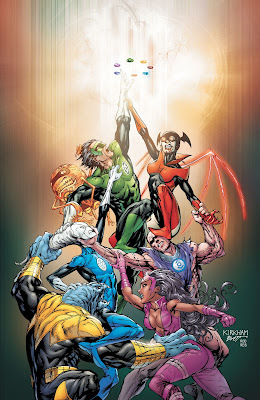 It gives enough information on the other Lanterns that it might even be accessible to open minded new readers. The problem is that this volume doesn't tell the whole story. It is a decent start to a story though the villain, Invictus, is a bit uninteresting. It also sheds some light on Larfleeze's past and reintroduces him to new readers. The story has a lot of potential, but the end did disappoint me. I think people who have seen the Green Lantern movie and have an idea of their powers, so new readers beware. 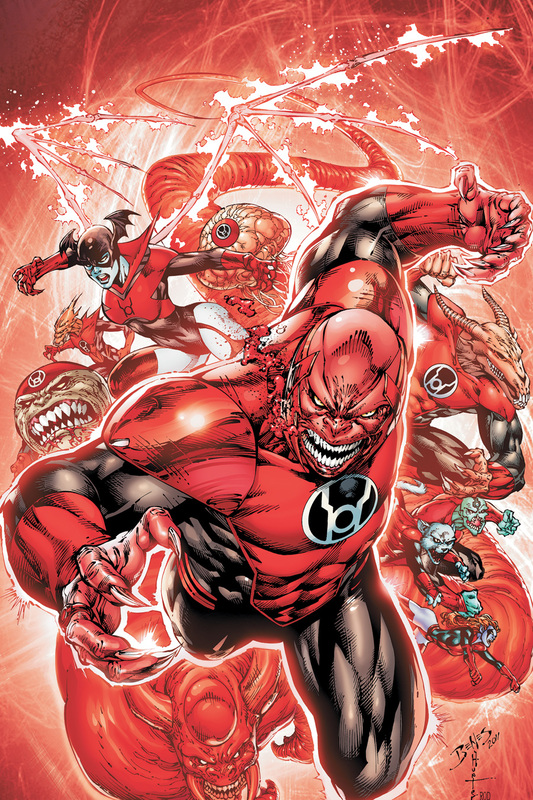 This book tells the origins of several Red Lanterns while Atrocitus is having a crisis of rage. Atrocitus unsure of the direction of his Corps gives Bleez back her intelligence. After this he feels she may have betrayed him so he gives three others their intelligences. Meanwhile an old man is killed on Earth leaving two brothers fighting over how to grieve. Also, Krona the mad lantern and object of Atrocitus' rage disappears. None of the plotlines are really resolved in this book. 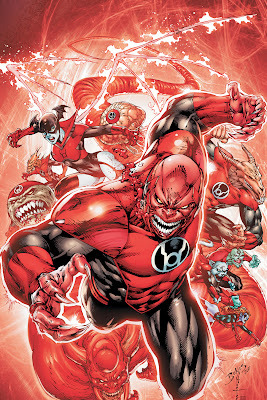 The closest is the Earth Red Lantern, John Moore aka Rankorr, who is drafted in the Corps near the end. This is a number one at least, but like Green Lantern: New Guardians, it does not contain a full story, but sets up several ongoing ones. Also the timelines are a bit fuzzy between Red Lanterns and New Guardians as to how Bleez has time to do all the stuff she does in each book. She gets around. I'm not sure this is a book for new readers, but if you like Bleez pinup shots every other page I mean, if the Red Lanterns intrigue you, you might want to check it out. For new readers, you can check this one out as it doesn't really rely on the past too much. Several heroes from the 31st century are stranded in the twenty-first when their time ship crashes due to a strange event. Tyroc, Tellus, Brin, Wildfire, Dawnstar, Timberwolf and Chameleon Girl. They must contend with an alien virus that morphs people into aliens. They must stop their future from being destroyed and find a way to get back to it. I enjoyed this more than the main Legion of Super-heroes. This title benefits from having half the number of characters and a more streamlined plot. 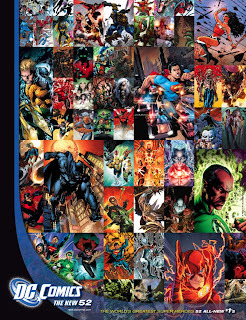 It was a decent splash of super heroes and more of a volume one than its sister-title. The characters are a little on the overly good side, but they are from a utopian future. Anyone can jump into this adventure with no knowledge of the other title or Flashpoint (the event that caused them to crash). 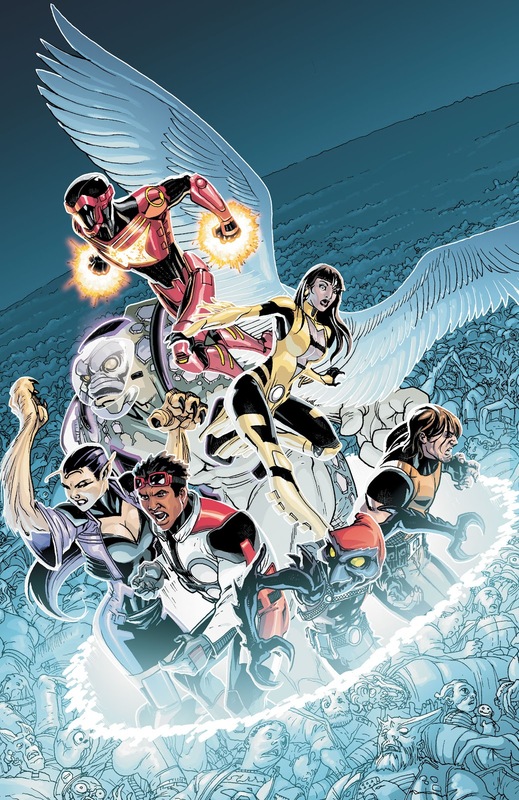 This issue leads into a tie in with Teen Titans and Superboy, which then spawns a new title The Ravagers. So, if you get into this series, there may be quite a bit added to your list if you start any of those. Carter Hall burns his Hawkman wings and gives up being a superhero. However, the Hawkman refuses to go down and bonds with him. Carter is an archaeologist and his newest discovery hides a terrible new force called Morphicius. Then the Hawkman faces the villainy of the Gentleman Ghost. Maybe it is because I know less about Hawkman, but I found these stories not too bad. 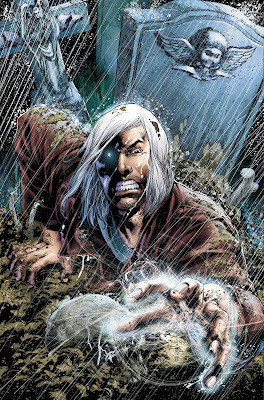 I wish Morphicius had been a little more badass and I wish that the Gentleman Ghost saga had been fleshed out a bit more, but overall it was decent. I also enjoyed the art, which brought out the Savage part of the title much more than the writing. I might consider reading more if the nect arc had not been taken over by Rob Liefeld. Ah well. 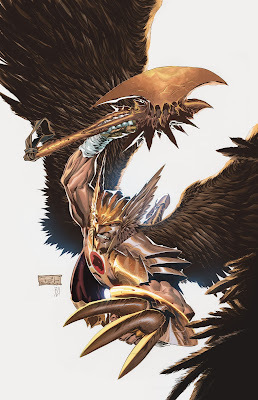 It has also been noted that Hawkman had a hero career prior to this, but no one seems to know who he is. So, there are some minor inconsistencies. It is quite friendly to new readers and even works a somewhat standalone volume. Sergeant Joe Rock is the grandson of a legendary soldier who takes command of Easy Company, a group of privately contracted soldiers. They a landscape torn by war and the supervillains of the DCU. It also contains other military style stories. This book has kind of a strange ethereal quality about certain stories. I enjoyed the main story of Sgt. Rock leading his commandos against superhumans. Some of the backup stories were good, celebrating the lives of our actual soldiers. Other backup stories were overly preachy. Issue 8 switches tone entirely and gives us a World War II tale of Frankenstein (Future Agent of S.H.A.D.E that I'll cover later). I enjoyed the Frankenstein section, but it was a definite tonal switch from everything else. I'd recommend this to new readers who like strange military stories; however you shouldn't buy this for the Frankenstein Agent of S.H.A.D.E. story since it's included in the second collected volume of that series. Superman is not the beloved hero of Earth. Clark Kent does not work for the Daily Planet. Superman struggles for the common man and faces Lex Luthor, a military scientist, and the alien supercomputer Brainiac. He also gets a view of the future. I said in the previous list that I am not a big fan of Superman, that said Grant Morrison has written some great Superman stuff in the past (All-Star Superman). This one doesn't live up to that standard. I thought the Superman/Occupy Wall Street thing was kind of forced. I got really confused during the Legion of Super Heroes back story thing because i thought their time bubbles didn't work... Wasn't that the plot of Legion Lost? So which am I supposed to follow? Anyway, the end thing with Brainiac was nice, but I feel like most of this is stuff we've seen. The one thing that I thought was really interesting was the part with Krypto and the Phantom Zone. 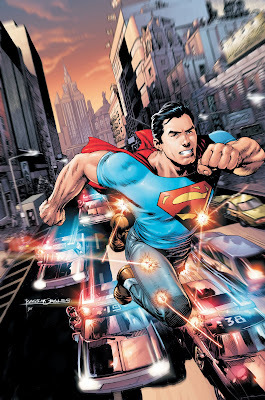 This is definitely something new readers can get into and I'd probably recommend this if you like Superman. 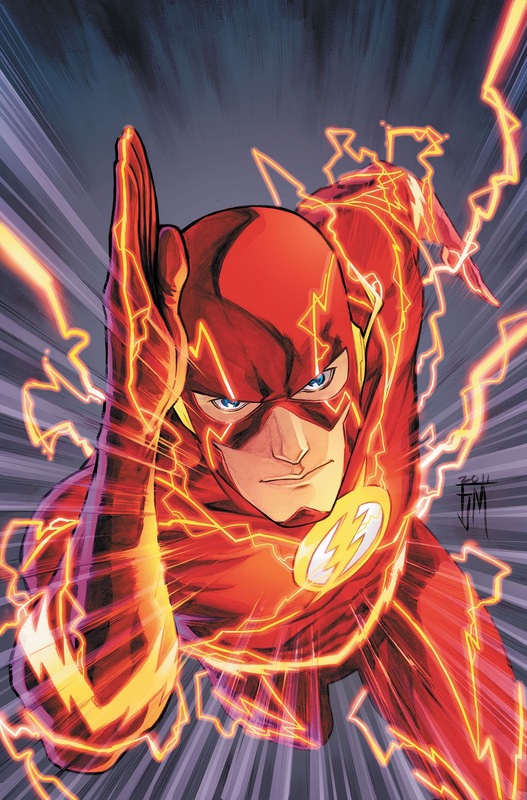 Barry Allen is back as the Flash, fastest man alive. He works as a cop and has recently started dating Patty Spivot. In this volume he faces the Mob Rule who are trying to kill his old friend Manuel. Then he deals with his old enemy Captain Cold and a mystery of the speed force. The art and panel designs are gorgeous in this book. I'd recommend the read purely based on that. The story is not so great. It contains several very comic book plots with some barely explained stuff all thrown together in a giant melting pot. Also, I didn't find much humor in this title. Isn't the Flash supposed to be funny? He tackles the now typical superhero issue of his powers doing more harm than good, but that is overshadowed by the multitude of events going on around him. There's his friend issues, girlfriend issues, job issues, Mob Rule, Captain Cold, time vortexes, and Turbine all competing for their part in the story. I think the problem is the pacing and the out of sequence storytelling. It makes it harder too focus on the characters who are for the most part fairly weak. I can't say I really cared for or much liked them. I know this is the Flash, but the story needs to slow down and focus on something for more than a second. Mitch Shelley is a man who can't die and every time he resurrects with a different power. Angels, demons, the government, superheroes, and supervillains alike are after him, but all he wants to do is discover who he is. The first half of this reads very similar to Grifter except replace aliens with angels and demons. People want him because of his power. What makes Resurrection Man a bit better is that he finds out part of his past and doesn't like it. He struggles with his current feelings and has a bit of a crisis about it. He also develops his powers and has to figure out how to use them (not always successfully). This creates a character that is one of the more interesting of the New 52. He also has an interesting supporting cast that gets developed over the course of the series. Rather than killing many of them off like some other titles. This book has been cancelled as of issue 12 (or issue 0 which comes after it), but this book does have actual ending in its second volume! New readers are quite welcome with this title and I think it is worth a read. I think this section of the list got re-ordered more than any of the others while compiling it. While writing it up I came pretty close to bumping Teen Titans up to 30. 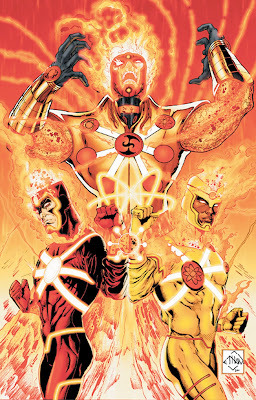 This would bump down Blue Beetle and Firestorm. I read all three of these very early in my read through, but I remembered way more about Teen Titans. I may have to update after I post the Top 11. Another four series cancelled and we're onto series I actually really enjoyed. Ah well, capitalism tends to side against me anyway. I continue the countdown to number one on Friday!